We recently announced our latest partnership with Twitter, which offers our customers first access to new and powerful analytics. 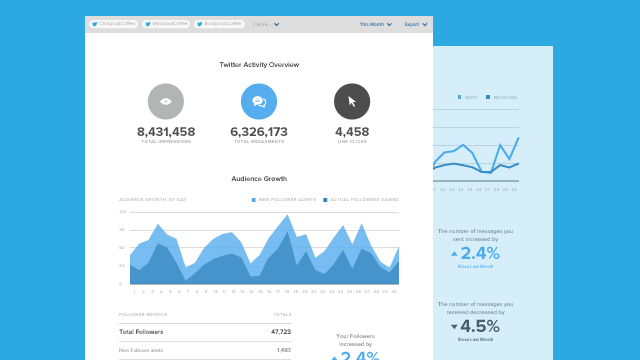 To get this new data in our customers’ hands, we overhauled our report into the new and enhanced Twitter Profiles Report. With the Twitter Profiles Report, Sprout users gain big-picture insight into Twitter content and performance by analyzing data across multiple profiles at once. A plethora of new data is available in the Twitter Profiles Report to help businesses better understand the real impact of a Tweet. Sprout customers get a more holistic look into how content performed with new metrics. 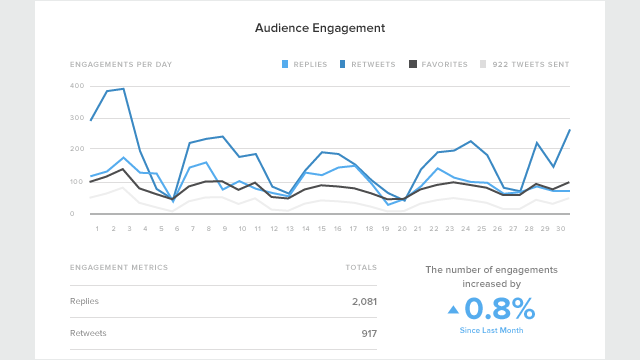 These metrics, provided directly from Twitter, include impressions, engagements and clicks, and are only available to Twitter’s data partners. We also added metrics to help our customers better understand their audience and how followers are interacting with content. These metrics include actual actual followers gained, engagement per follower, impressions per follower, engagements per Tweet, impressions per Tweet, engagements per impression and demographic data. In addition to new and enhanced data, we also refreshed the design so people can digest and share data in a format that provides a better user experience and easier navigation. Whether you want to look at metrics for all profiles on a daily basis or benchmark and compare individual profiles, the Twitter Profiles Report has a vast array of graphs and charts to help you quickly visualize and pinpoint the metrics that matter most to your business. The recently redesigned Sent Messages Report includes a variety of data on all of your sent messages, cumulatively and individually. We’ve now also added impressions to this report, which you can use to understand how individual Tweets performed. When paired with the Twitter Profiles Report, you get an overall look into content performance and audience behaviors. With such a wide variety of data, you can pinpoint what works and what doesn’t, and adjust your social strategy for maximum impact. In addition to the rich amount of data for the new Twitter Profiles Report, our partnership with Twitter has benefits for other parts of our product. Sprout customers gain access to full historical context (going back even before the profile was connected to Sprout!) and a wider variety of keyword search results. Stay tuned for more on how our partnership benefits Sprout customers. 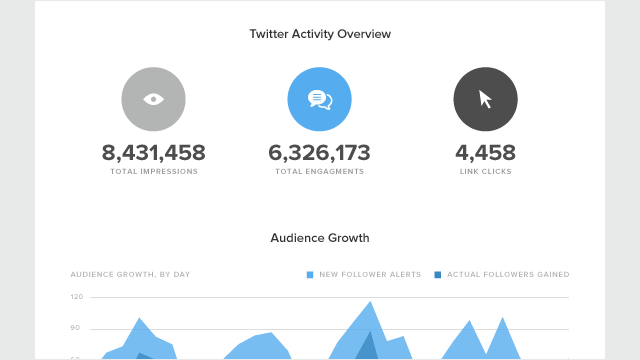 Learn more about Sprout Social’s Twitter management tools and Twitter analytics features here.